Welcome to the Berlin Phlebology Workshops! Since 2018, we open our hearts and facilities for the public – after more than 100 international presentations of our scientific proceedings angioclinic® teams have been working on significant improvements in phlebology, co-developed and modified all that endovenous stuff, added new inventions and techniques and finally ended with a totally different understanding of venous insufficiency, a new vision on a disease which might be totally preventable, at least curable without any surgery, or even without major interventions. Early stage detection of venous disease, high resolution vein valve analysis, vein preserving strategies like hyaluronan valvuloplasty and novel painless endovenous modalities are some of our favorite topics. 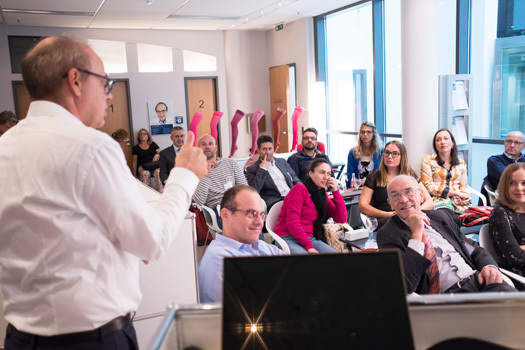 In a very pleasant venue (angioclinic® vein center Berlin), limited to 20 applicants in 4 groups, we share real hands-on training in real clinical situations and real patients. Patients treated on day 1 are revisited on day 2 for a realistic and instructive review. 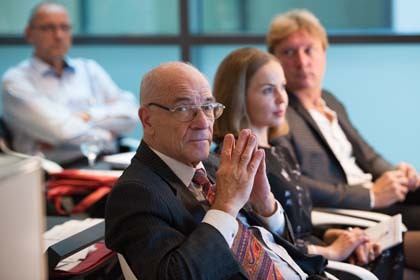 The next Berlin Workshop of Future Phlebology will be held November 2nd - 3rd, 2019. We look forward to meeting you in Berlin!